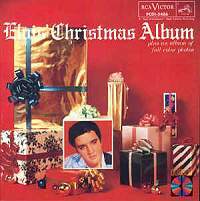 A classic version of Elvis' Christmas Album sounds absolutely right in December. Unfortunately there is little new on this single CD release, as the session tapes are lost - for ever it seems. Some outtakes of 'Peace In The Valley' and 'It Is No Secret' distinguish it from a straight re-run. It comes as a 7" deluxe edition with relevant photos and session discography. 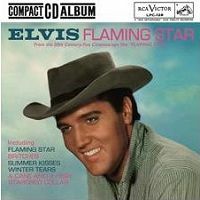 Flaming Star got the classic album treatment in December 2014. One CD containing masters and several outtakes. This sure will a tough listen. Numerous versions of turkeys like 'Summer Kisses Winter Tears', 'Britches' and 'A Cane And A High Starched Collar'. Even the best numbers are weak in this movie, but we get some new outtakes of 'Flaming Star' and the alternate 'Black Star' too! Elvis In Florida focus on Elvis in April 1975. 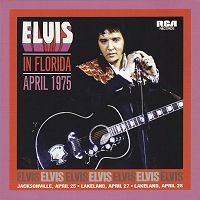 Mainly featuring what was recorded on soundboard tape from Lakeland, April 27 - a new soundboard - added with several tracks from Jacksonville April 25 and a few from Lakeland, April 28. It is worth noting that two tracks from Jacksonville were not featured on the bootlegs release of this show from middle 90's. (A Damn Fine Show). It comes as a 7" deluxe edition with relevant photos. Unfortunately several of the tracks cuts the intro, becuse there is an error on the CD index. Sloppy!! 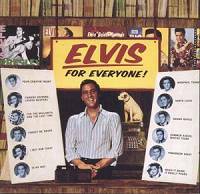 Elvis For Everyone is the latest in the Classic Album series from FTD. CD-1 contains the original album, plus an optional version of the same album. 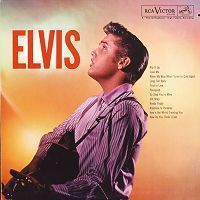 CD-2 contains several outtakes from 1961 to 1963, all of them previously unreleased officially (sans For The Millionth And The Last Time (1) as found on the first version of Elvis Latino in the middle of the 90's). With this release (CD-2) we will have all takes available of a large number of songs from this period. It has been 7 and 8 years since last time we got new outtakes from these sessions! The takes from Fun In Acapulco sessions are not even bootlegged before. It comes as a 7" deluxe edition with relevant photos, lyrics and session discography. 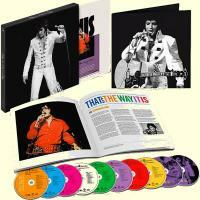 Sony has now released a monster package of material from That's The Way It Is, containing both audio and film material. On 10 disc, 8 CD and 2 DVD, this deluxe edition includes every recorded show from August 10 Opening show to the August 13 Dinner show. The DVD's inlcudes the original That's The Way It Is documentary from 1970 (DVD #1) and the updated version from year 2000 (DVD #2). Audiowise, we are presented with two full shows not officially released before. These are the dinner show from August 11 and the dinner show from August 12. Both have been bootlegged, but comes here in glorious sound. 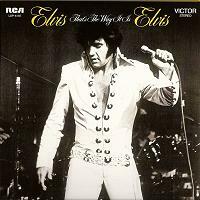 The price of the box is extraordinary high, meaning that many good Elvis fans will have to skip it. A pity! This is the Legacy edition of "That's The Way It Is". Released at the same time as the deluxe edition containing 8 CD's and 2 DVD's. This is however the classic 2 CD edition, where CD-1 contains the original album and selected outtakes. CD-2 contains the before official unavailable recording of the dinner show from August 12 1970. It has been out in great sound on several bootlegs, most importantly on Twenty Days And Twenty Nights by Audionics. 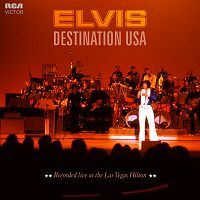 Follow That Dream finally decided to release the first ever recording from Elvis in Las Vegas 1969. This soundboard recording (or other source?) has been released by bootlegs many times earlier, first out was Fort Baxter with their Opening Night. A fantastic concert in good sound quality, originally planned for release by RCA in the 80's. The source for the FTD release is most likely the album master from that time, as it contains "LP" fade outs. However, the sound quality is miles better than earlier found on bootlegs. Actually it reminds much of a multi-track recording, just a bit more hissy and of course in monoral. I always appreciate when the official label beats the bootleggers in sound quality. Not happening everytime, but this time most certainly! 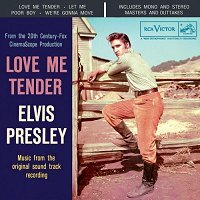 The Classic Album upgrade of Love Me Tender. Never a full LP album originally, here it comes as a 2 CD version. CD-1 contains masters in mono and stereo, and some available outtakes. Just snippets are previously unreleased. CD-2 contains both live concert from Tupelo, Sept 26 1956. First released on A Golden Celebration in 1984. Out is this double CD package from Follow That Dream. Sporting the dinner show from September 4 in 1972, taken from reel to reel soundboard tape. This show has been released on bootleg (I'll Remember You) many years ago. Unfortuately it contains an embarrising error. 'Also Sprach Zarathustra' and 'See See Rider' is from Tulsa two years later!! After 'See See Rider' Elvis starts to jam on 'I Got A Woman' (again from Tulsa), before 'Johnny B. Goode' from (Las Vegas) starts. Phew! This will be corrected by FTD! On the second CD we find several multi-tracks recordings from February 1972 - all previously unreleased. Also more cassette tape recordings from rehearsal held at both August 2nd and 3rd the same year. This is the Legacy edition of "Elvis" from 1956. Containing masters and some bonus takes not on original album. Also contains several takes of 'Rip It Up', a few not previously released. CD-2 contains the live concert from Shreveport, December 15 1956. Previously released several times, and currently available as a stand alone - cheap - CD release. This inclusion seems a little bit strange. Not a very strong release. 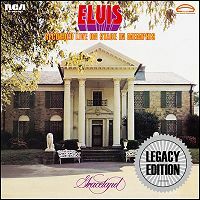 This is the Legacy edition of "Elvis Recorded Live On Stage In Memphis". The concept took a lot of fance by surprise. I guess few were expecting a legacy treatment of this LP, at least not at this time. As with the rest of the legacy CD's from Sony, also this is a double CD package. Believe it or not, on CD-2 you will find a "soundboard" recording! CD-2 sports the monaural recording of the Richmond show on March 18, just 2 days before the main concert. Previously released on FTD's 48 Hours To Memphis. Strange choice. Coupling it with the better recording of Elvis' very first show in Memphis for many years, the one on March 16, would have made so much (more) sense. The interesting bit, however, is that the same guys that mixed Elvis At Stax, have re-mixed and mastered the main concert. For the first time - it is presented with the respect it deserves! A little bit too dry sound on Elvis' vocal, otherwise it is so close to perfect as ever possible! 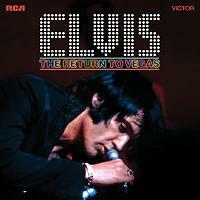 Elvis would have loved it, as his voice is not dominating the sound picture totaly! Kudos!